Editor's note: Through his work with Reading Rainbow, LeVar Burton continues to inspire generations of students to love reading. Getting an early start on celebrating Teacher Appreciation Week, we asked LeVar about educators that inspired him. He shares some stories from his childhood in today’s guest post, and he’ll share more during his keynote, “The power of storytelling to inspire students,” during our Education on Air conference. Register today and tune in for LeVar’s talk on May 8th at 11:15am ET. Teachers seem to run in my family. My elder sister, my son and two nieces are all educators, and my mother, Erma Gene Christian, was a high school English teacher before becoming my first teacher. I know firsthand how hard these unsung heroes work, and especially how important a teacher can be in a child’s life. I still remember the word —it was “pretty” — and when my aunt finally said the word to me it was a revelation. She gave me the confidence I needed to trust myself; to trust that I did know these words. I was a reader. This is what teachers do for their students every day. It’s from my mother, Erma Gene, that I learned the allure of storytelling. Throughout my childhood, mom always had several books going simultaneously, switching from one to the other seamlessly, deriving pleasure from each turn of the page, no matter what the genre. I learned from my mom—and eventually from my own experiences reading, and from exposing children to the joy of books through Reading Rainbow—that storytelling is an elemental part of the human experience, regardless of whether the medium is a print book or a digital book. We know that kids are reading more than 200,000 books a week on the Reading Rainbow App. They are using their devices not just for games or movies, but to read. 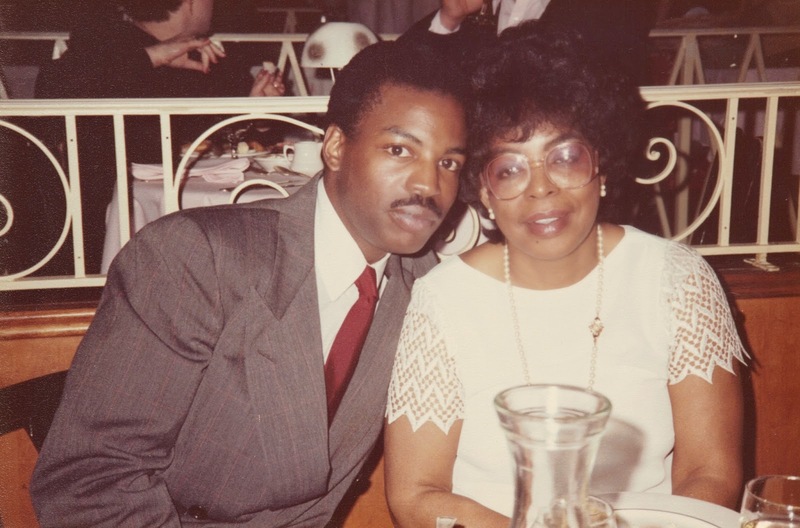 Here's me with the first educator who inspired me, my mother. Children are drawn to stories, and with good storytelling we can teach kids anything. I have seen the light go on in a child’s eyes when he or she falls in love with a story. I’ve seen that light get brighter when they realize that they can read the stories for themselves. This light is the beginning of a lifelong love of reading, and from there a lifelong love of learning. For me, literacy means freedom, and literacy begins with storytelling. You get a child’s attention when you give them a good story. If we fail to take advantage of this, we are letting the opportunity of a lifetime—of our lifetime and theirs—pass us by. Hear more about the power of storytelling from LeVar Burton during his Education on Air keynote on May 8 at 11:15am ET or check out his Reading Rainbow website.